Happy Leap Day! 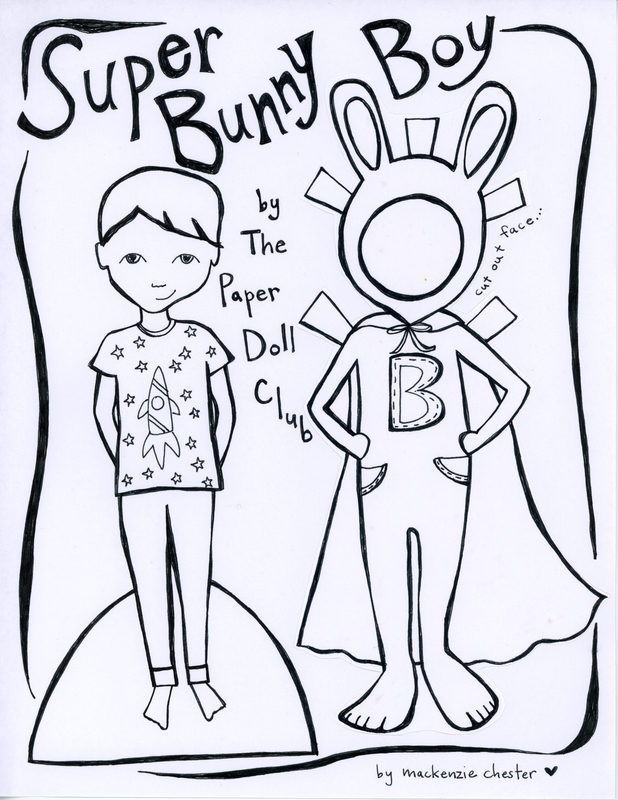 This is a fun week from The Paper Doll Club. For all of the little boys who have patiently endured weeks of princesses and very girly paper dolls, this week is for you! Super Bunny Boy is a fun little guy. I especially like his skinny rocket pjs. Hope you will have fun coloring him and playing with him. 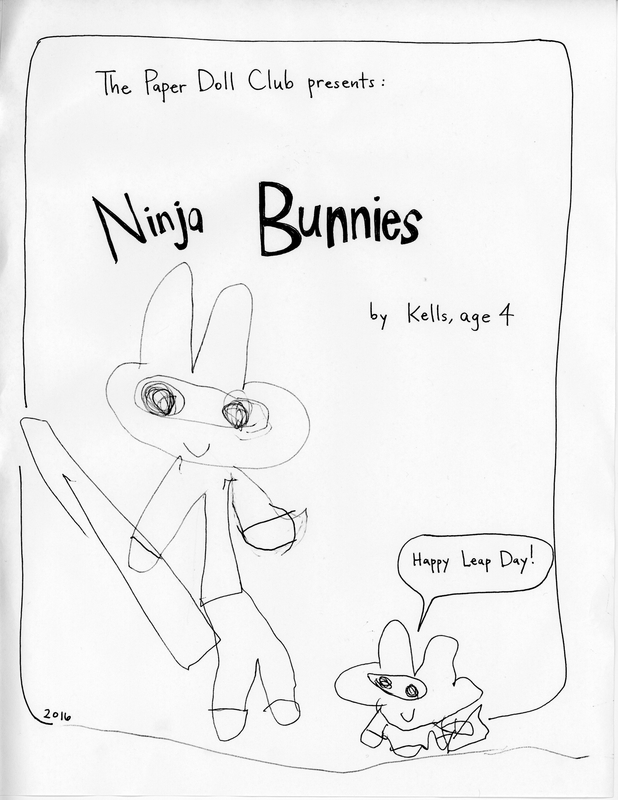 Kells made some Ninja Bunnies. I think you will really like them. They can be Super Bunny Boy’s sidekicks. 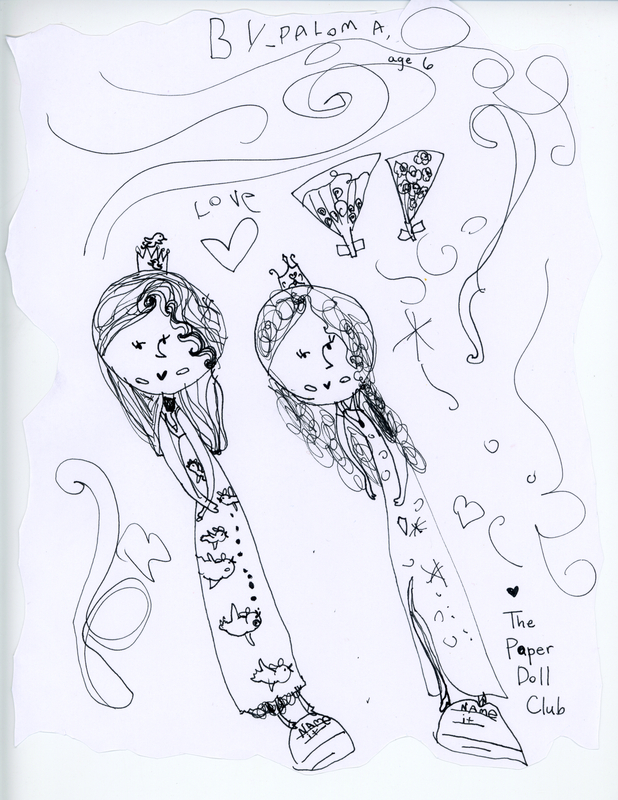 Paloma drew two beautiful girls with very detailed, ornate dresses. They have little fans for accessories. Sharpen your colored pencils, because there are lots of little tiny things to color here! 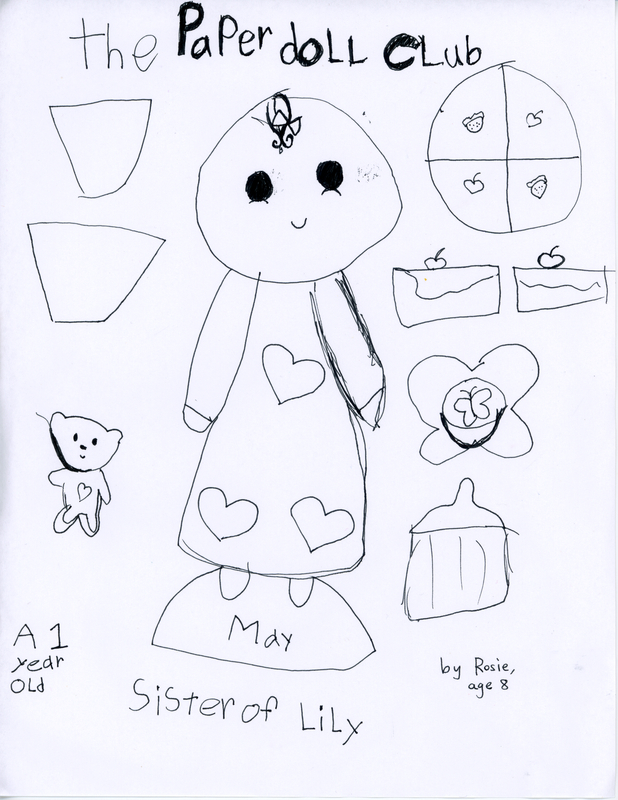 Rosie’s dolls are sisters, and they are based on some little babies she sewed this week. I had put an old premie footie pajama outfit in her sewing scraps box, because I thought she might want the fabric. When she saw it, she got an awesome idea to stuff the outfit with batting, sew it closed, and add a little cloth head. It turned out to be a really adorable little baby doll. She is so proud of “Lily” (and I am so proud of her!!!) and has been carrying it around ever since. 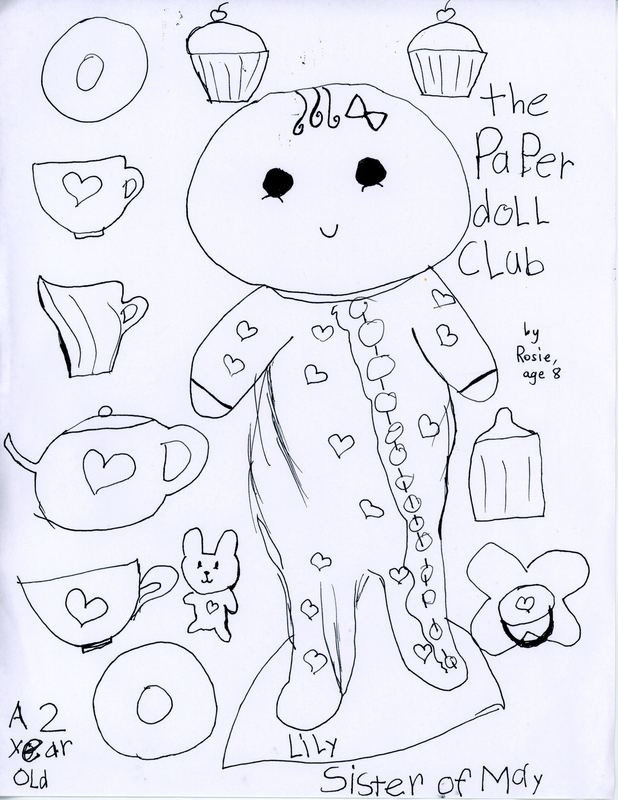 So for this week, she drew a picture of her dolly for The Paper Doll Club. I think you will love it. She also made a sister and a tea set so they can have a paper picnic and tea party. Hope you enjoy these little drawings from Rosie, Paloma, Kells, and me. It is fun to draw, and it is fun to share you drawings with others. Love from The Paper Doll Club! See you next week.